Home › Harbour Tug › Stan Tug › Stan Tug 1606 › Stan Tug 1606 "Pacini"
Fratelli Neri will mobilise the Stan Tug 1606, called Pacini, on shallow water operations in coastal and inland waters around Livorno. For such duties, this compact and sturdy Stan Tug design is an ideal match. 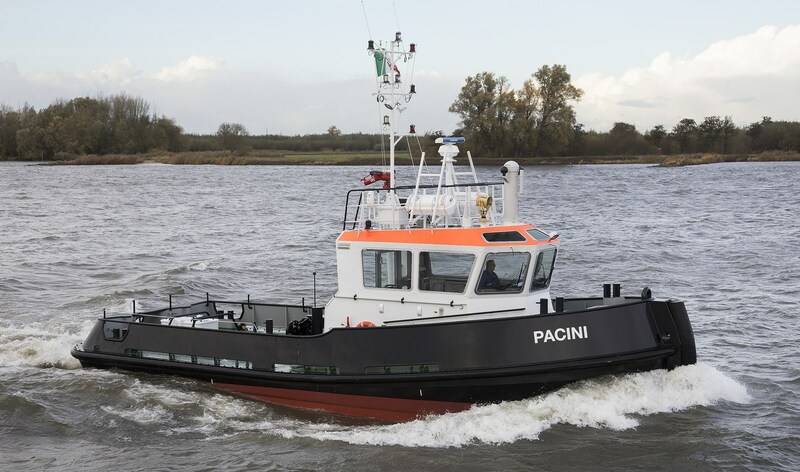 As well as fire-fighting apparatus, the Italian-flagged Pacini is also equipped with an aft towing winch.